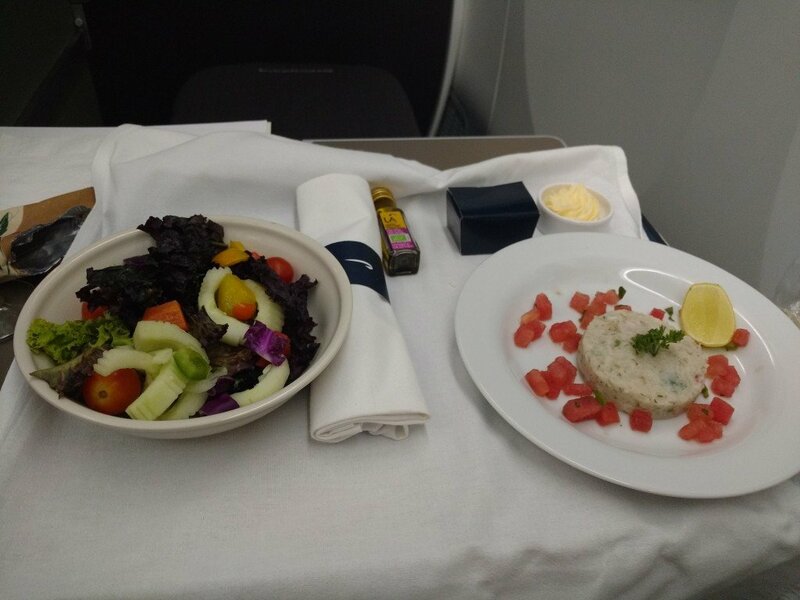 Our Co-Founder Madeleine Hann recently flew from Delhi to Heathrow with British Airways, in their Club World (aka Business Class) cabin, and here is how her experience went. Many of our guests at Indian Excursions opt to fly with British Airways. 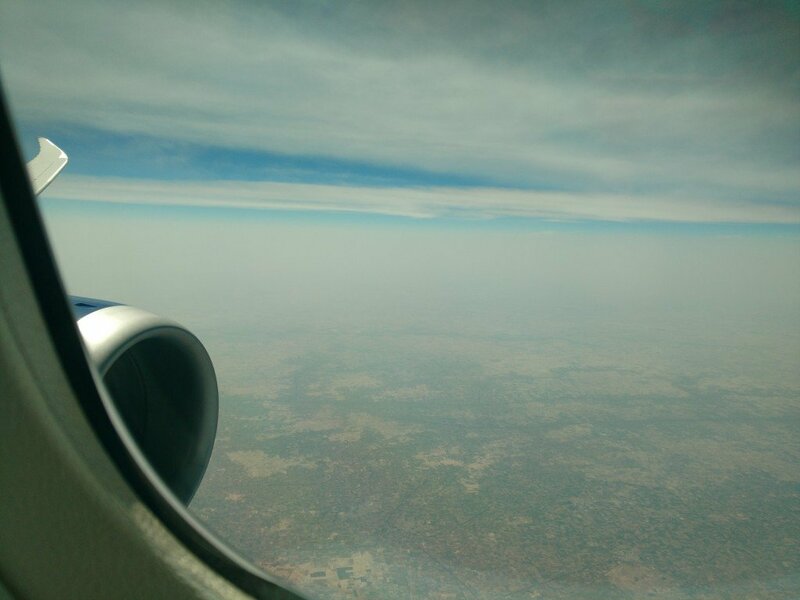 For those from the UK, British Airways offers direct flights from Heathrow to both New Delhi and Mumbai (most of our tours begin and end in New Delhi, though Mumbai is a convenient port of exit for those exploring south India as well as Rajasthan). For our guests from the US, Heathrow is a convenient layover point on to Delhi, as British Airways connects over 20 key US destinations to Heathrow; from Washington to Miami to Dallas. 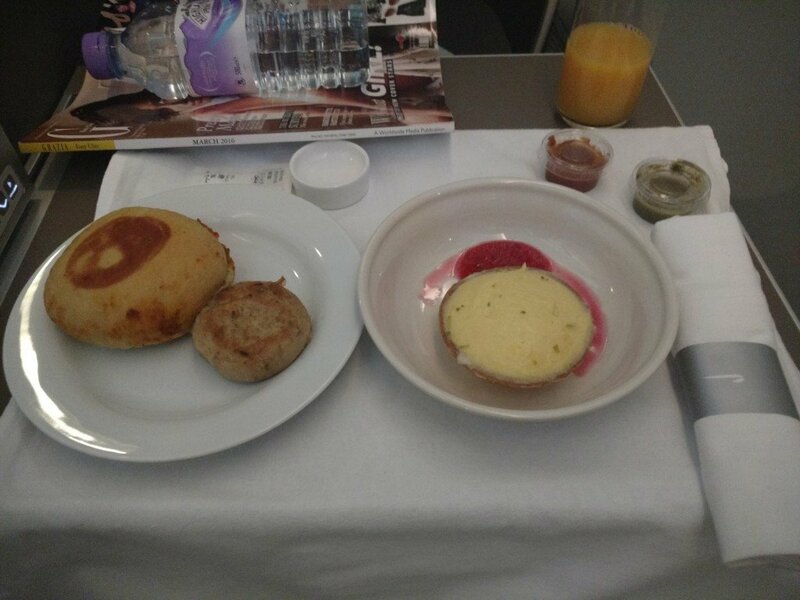 British Airways is an airline I know well and, in my opinion, delivers exactly what I want on a regular basis – great service, good food and drink, and comfort. Our tours of Rajasthan don’t just begin when you land in New Delhi – it all starts at the airport. 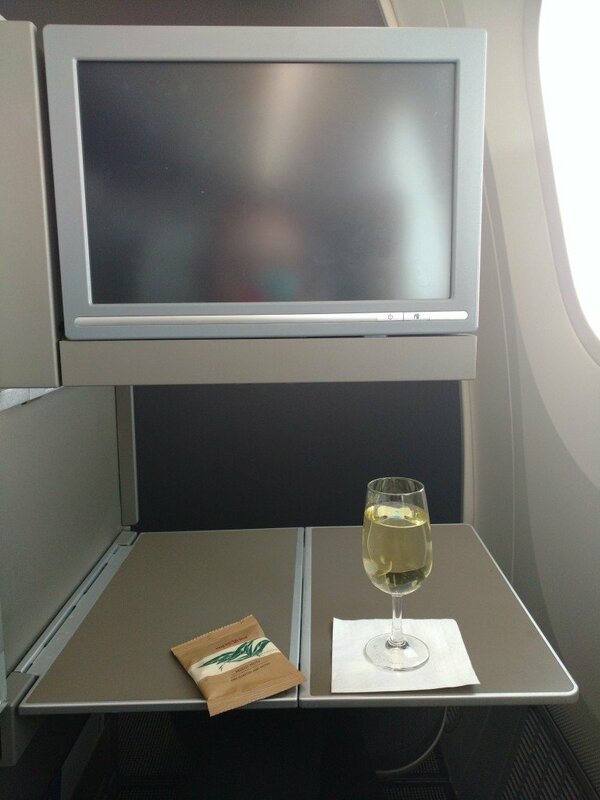 For me, a long-haul flight is a special moment, code for ‘me time’ where I can catch up on movies and television, enjoy a drink or two and generally relax without interruptions. 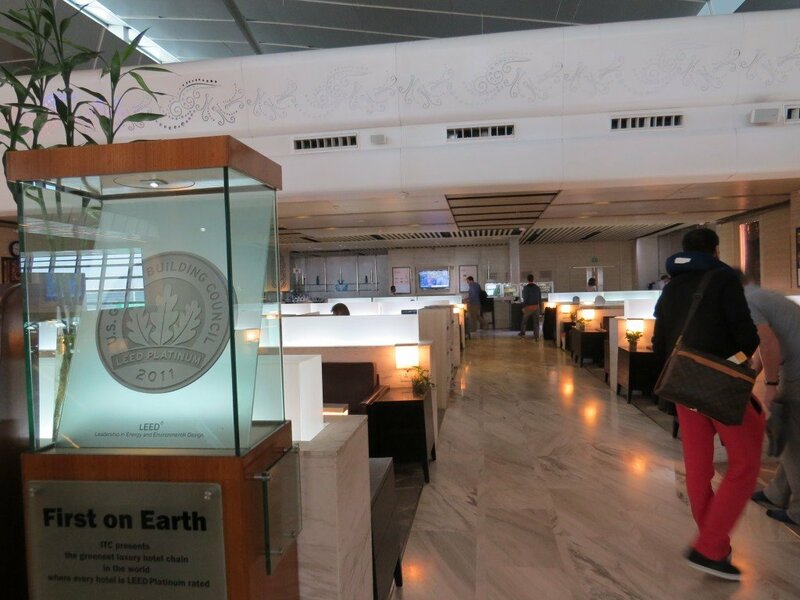 Checking in at New Delhi’s Indira Gandhi International Airport was a breeze. As a Business Class passenger, I was met at the airport doors by a representative of British Airways, and ushered past the queues through a dedicated entrance up to the check-in desk. Club World offers a very generous free baggage allowance; passengers can check-in three bags weighing up to 23kg each, and carry a cabin-bag of up to 23kg with them on-board. Having checked-in online beforehand I only needed to drop my bags off. The associate who served me was friendly and welcoming, handing me my invitation to the lounge and directing me on how to find it. Going through security I was able to take advantage of the dedicated Business / First lane. From getting out the car to clearing security must’ve only taken about 15 minutes in total. After security I made my way to the lounge, the ITC Green Lounge. Inside there was a buffet spread with a wide selection of hot and cold drinks and breakfast foods (I was boarding a morning flight), as well as a fully stocked bar area. All food and beverages in the Green Lounge are complimentary. In the lounge there are computers, televisions, magazines and newspapers to occupy guests. I was keen to pick up a few souvenirs in the airport before my flight. The lounge concierge offered to look after my cabin bag for me so that I could walk around the shops with ease. I was welcome to dip in and out of the lounge as I pleased, leaving my bag behind in safe hands. Delhi airport has a great range of shops; including duty free, Mango, Pandora, Swarovski, Armani, Da Milano, Delhi Bazaar, Hugo Boss, The Body Shop, WH Smith and much more. About 40 minutes before take-off, I made my way to the gate and sped straight through to the plane with priority boarding. When stepping in to the aircraft I was welcomed by name and ushered to my seat. 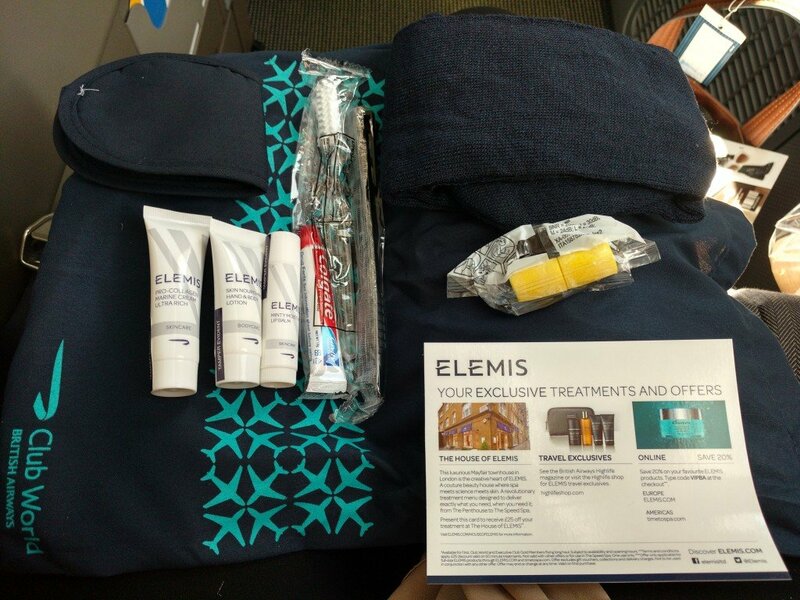 A few moments later I was presented with a menu, wine list and Elemis amenity kit. The kit comes in a drawstring bag and includes moisturiser, hand cream, lip balm, tooth brush and tooth paste, eye mask, ear plugs and a pen. 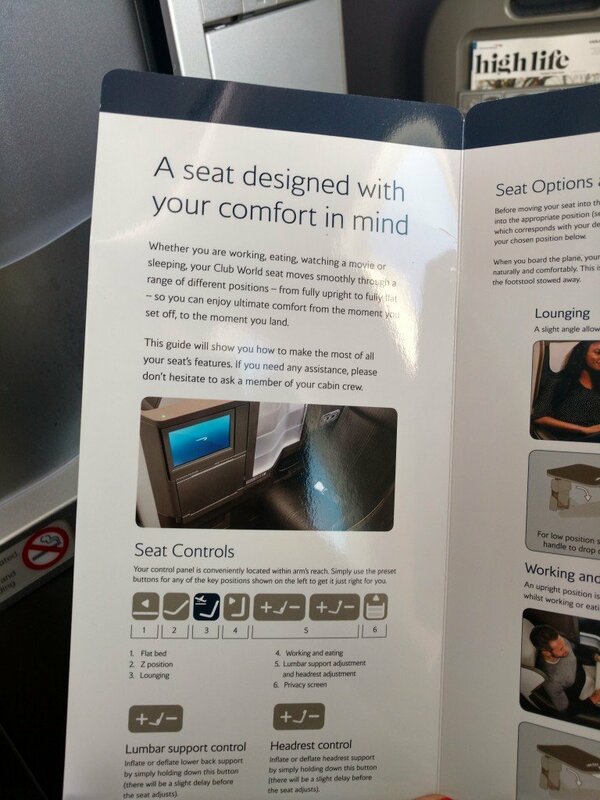 The Club World seats can be somewhat daunting at first as there are so many different settings and buttons that all do different things. 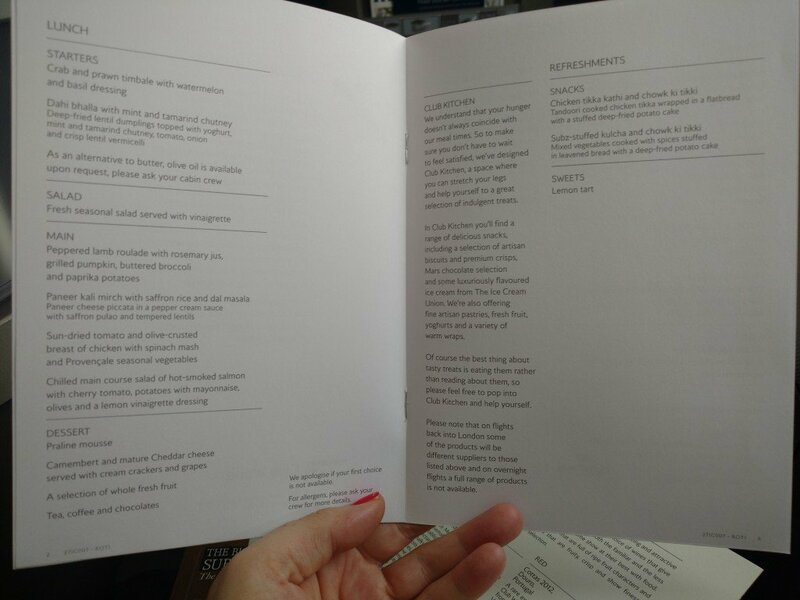 British Airways have created a handy leaflet to explain all this to their passengers. The seat can recline fully into a flat bed, or can be positioned for working and eating, or lounging; there are also pre-set buttons to return to the take-off and landing position when needed. 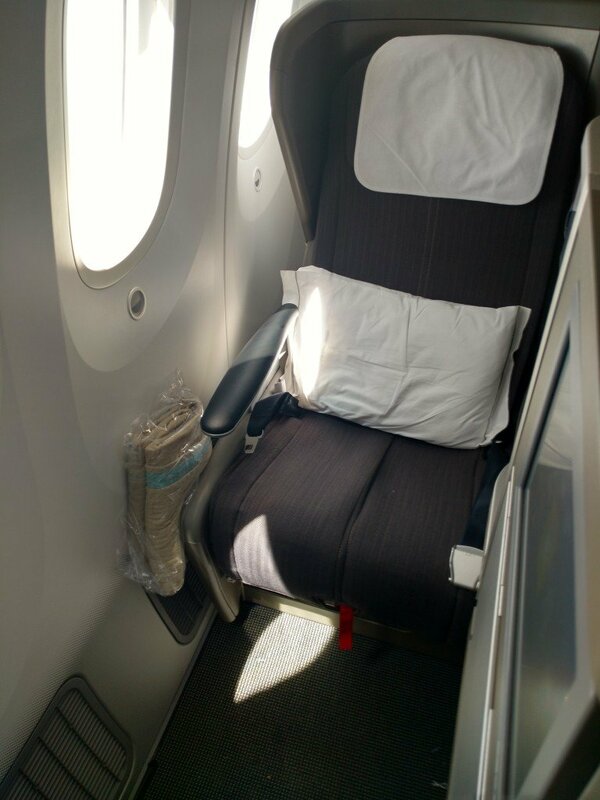 Being a day-time flight I didn’t sleep, though would have no problem doing so on an overnight flight – the seat was very comfortable and reclines completely flat. The pillow and blanket provided are of a high quality, too. 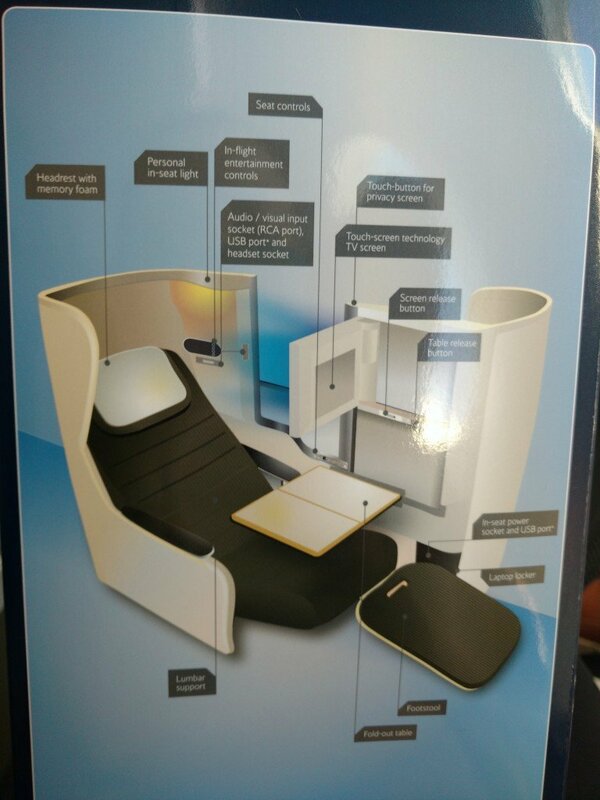 The configuration of seats in the Club World cabin meant I was closely facing the passenger next to me, though there’s a screen divider to offer complete privacy. 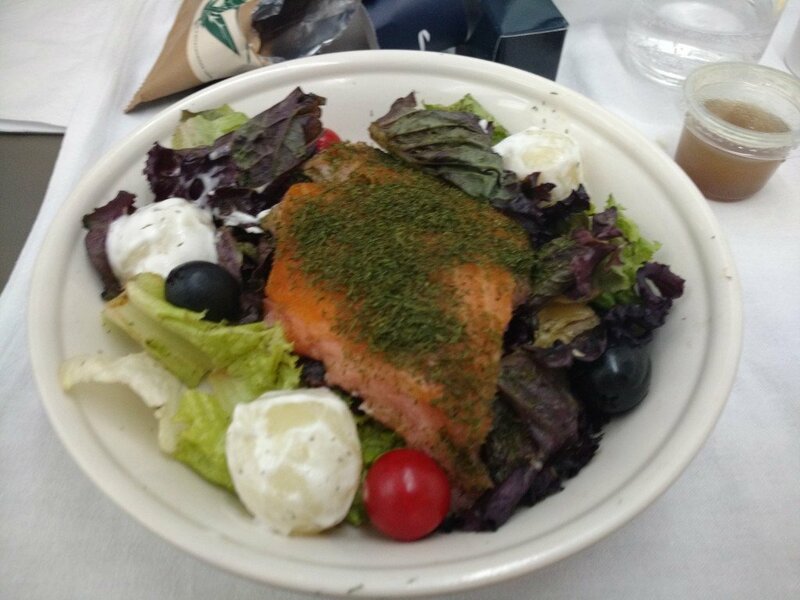 I was very well fed and watered throughout the flight. 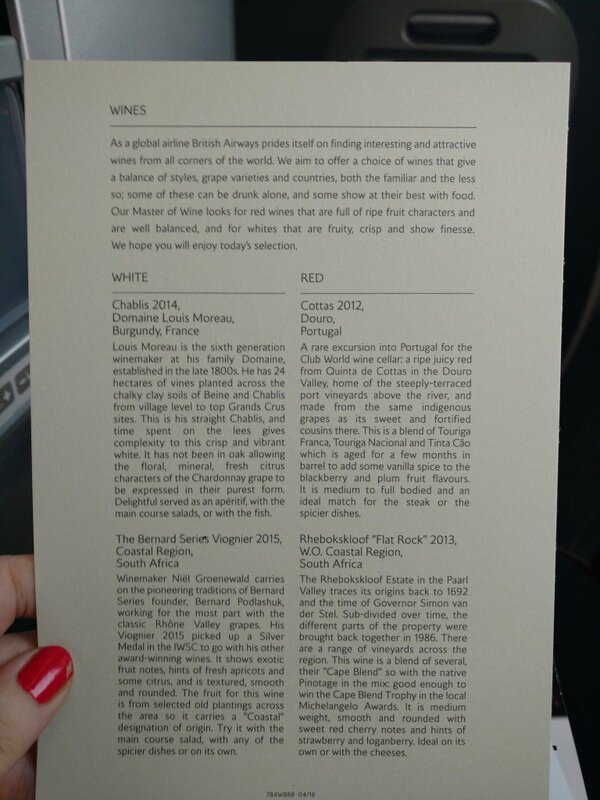 Before take-off, I was offered a glass of wine from the wine list (I went for the Chablis). 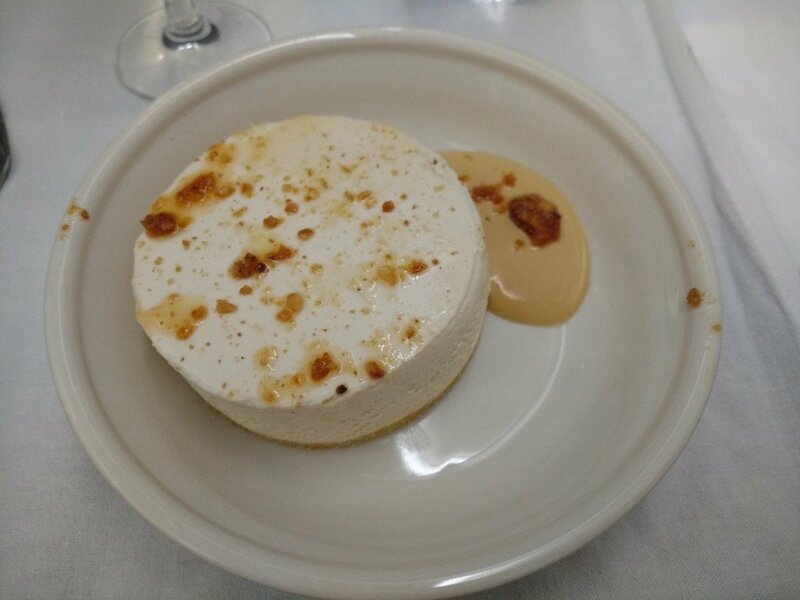 Shortly after, my order for lunch was taken and I opted to start with the Crab and prawn timbale with watermelon and basil dressing, followed by a Chilled main course salad of hot-smoked salmon with cherry tomato, potatoes with mayonnaise, olives and a lemon and vinaigrette dressing, and Praline mousse for desert. Shortly before landing we were served afternoon tea with a selection of cakes. I also made use of the ‘Club Kitchen’. Passengers in Club World can mosey to the front of the cabin and help themselves to a wide range of drinks and snacks, including well-known brands of biscuits and crisps, chocolate, fresh fruit and sandwiches. 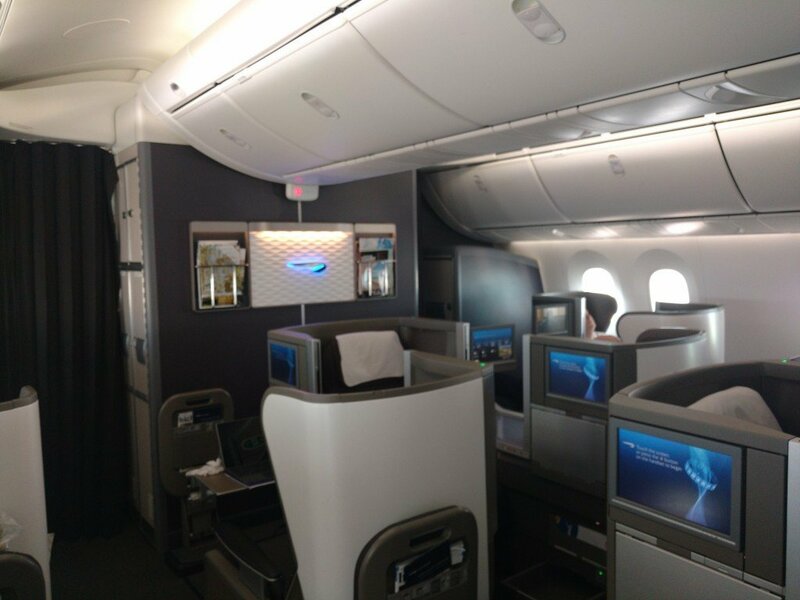 Overall, British Airways’ Club World makes flying a very enjoyable and comfortable experience. It’s an ideal airline for travelling to New Delhi from the US, UK and Europe, and will ensure that you arrive well rested and ready to begin your journey through north India. Indian Excursions do not offer international flights (nor travel insurance or tourist visa) and ask that guests arrange their own travel to and from India. However, once you do land in New Delhi, we would take care of all your arrangements leaving you to focusing on enjoying all India has to offer, as well as your fabulous hotels. To begin planning your private, tailor-made tour with us, please do get in touch.